This is a basic quick jam recipe for small amounts of fruit. berry or vegetable jam to use as a condiment. To speed things along, start the process in the microwave. This recipe works for soft fruits like peaches, mangoes, citrus, berries, and apricots—and for soft vegetables like tomatoes, onions and peppers. Herbs and spices can be added to taste. 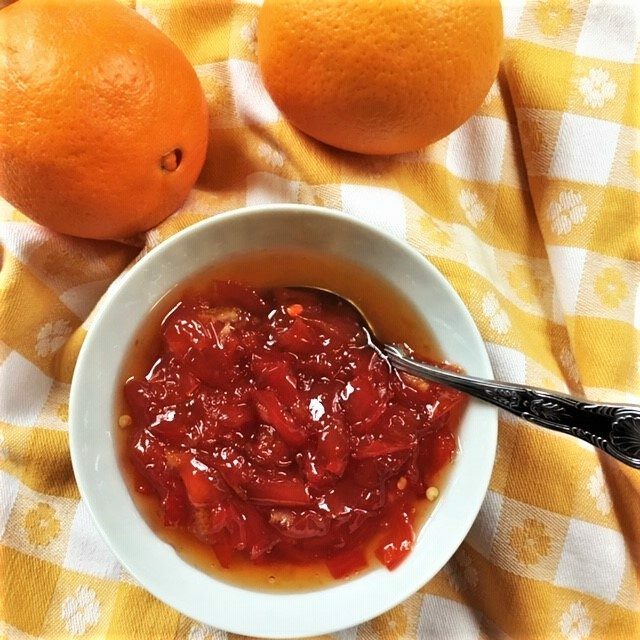 Four basic ingredients, a little chopping and about fifteen minutes—and there you have a quick, fresh condiment to perk up any meal. Mix all but marmalade in microwave-safe bowl. Let sit a little bit to let juices flow. Microwave uncovered in 4-minute intervals, stirring each time. After 12 minutes some fruit/vegetable jams may be thick and finished. 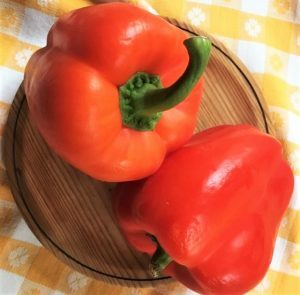 But the sweet peppers will probably still be watery—so transfer to a pot and boil slowly, stirring to keep from sticking. As it boils, add orange marmalade and keep stirring. When jam reaches the consistency of honey, it’s done. Put pot in refrigerator—it will thicken as it cools. Store in covered jar in the fridge.